If you like the ai-junkie tutorials then you'll love this. 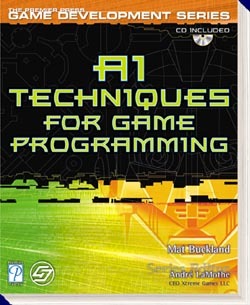 Although it's aimed at game developers it's useful to anyone wanting to learn about genetic algorithms and artificial neural networks with as much fun and as few headaches as possible. Check out the reviews to see if it's the right book for you. Here are links to some reviews of the book. From Steve Woodcock of Game AI. A brief history of MS Windows. Description of the Brainy Aliens project.